Winding thru canopies of exotic plants, the fairways range from open to wooded, several with water looming. Swimming, boat launch and a picnic area right on the water. I was in Florida on family business from Wisconsin in the beginning of August of 2013 and I wanted a course that would allow me to experience Florida outdoors, and Tocobaga was exactly what I had hoped. I was only able to play 9 holes because of a storm but I will really enjoyed the holes I played. The front 9 is mostly wooded and technical. I recommend a variety of discs to round out your throws. I only remember 2 holes being more than less straight shots. I joined a group of 6, they were friendly and helpful (thanks Dave and Scott). If I'm ever in the Tampa Bay area again I will return to this course and hopefully the weather will cooperate. One thing I did notice was my discs were not flying as they normally would, I'm guessing because of the much different climate than what I was use to. This course is pretty intimidating. With all the trees and foliage makes this course especially challenging. There are more than one hole the I would recommend having a spotter on because of the thick foliage. The only problem I have with this course is the signs. The signs are old and need replacing. There are signs that have the original number crossed out and replaced with another. An arrow pointing to hole 9 is actually going to hole 10. Hole 14 is hole 13. With the outdated signs its just pretty confusing. If the signs were updated then this course would have received a 5 but because of the signs being outdated I have to go with a 4. Maximo, as it's known, is a great course, though it can be quite unforgiving at times. The sabal palm jungle will eat up your discs if you get too reckless, but this course has appeal with it's varied layout. There aren't too many holes where you can really air it out, but this course scores high with me for nostalgic reasons. 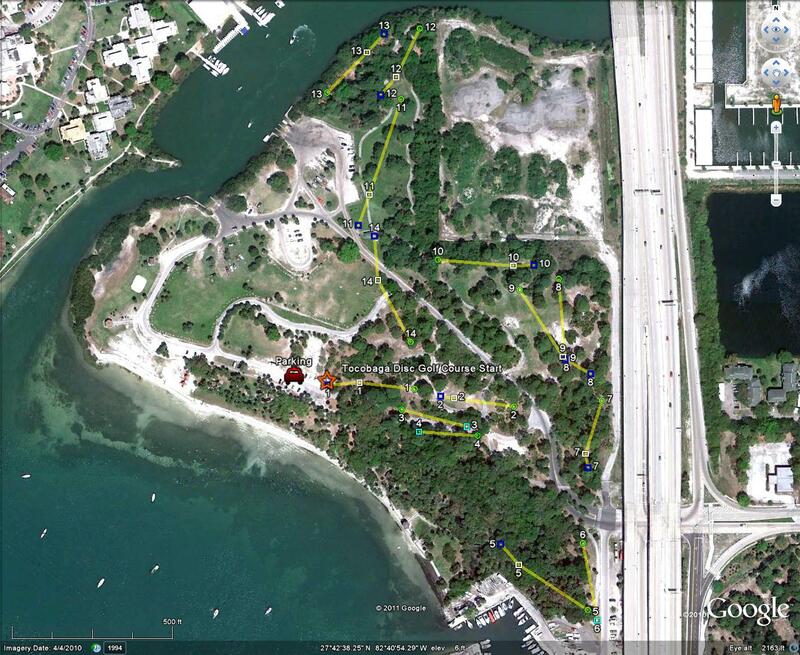 Good course, with a lot of trees and scrub to throw through/around. However, the best hole (#18) had to be decommissioned for archeological reasons, and the signage (which was already a weakness) hasn't been adjusted to reflect it. Wear long socks, even in the heat -- foliage has sharp edges.